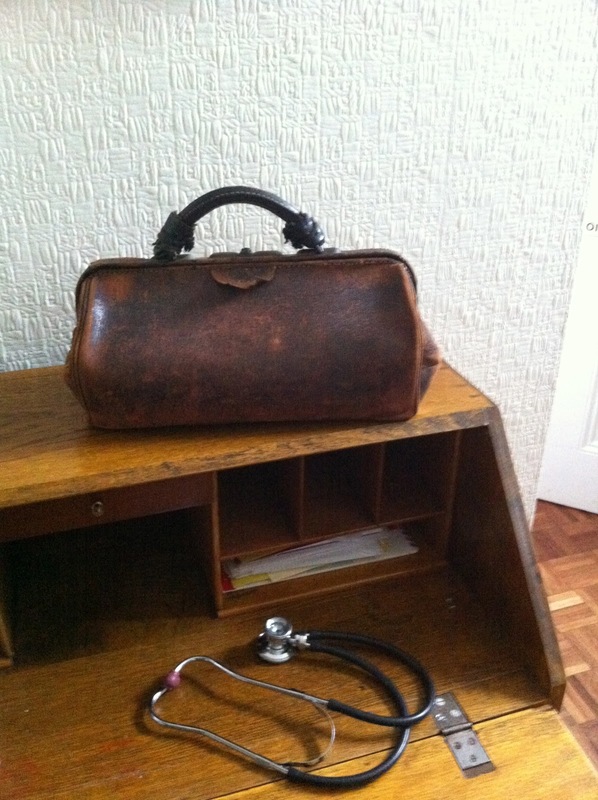 THE DOCTOR'S BAG - I MAY HAVE TO TAKE IT OFF! It leads us down paths of new knowledge. It lures us to relinquish precious hours of writing time to pursue the tiniest piece of historical accuracy. But as writers of stories set in historical locations, particularly the American Old West, research is as much a part of our writing process as plotting and characterization. Our stories are incomplete without them. Both journals offer a wealth of information in a quick-read format. While there are feature-length articles, there are also tantalizing snippets of archaeological findings that get me interested and searching for additional information. 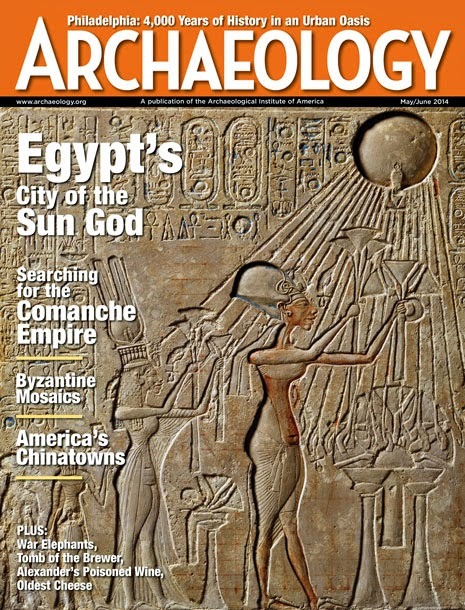 An example of a feature-length article is from the May/June 2014 edition of Archaeology titled, “Searching for the Comanche Empire” by Eric A. Powell. You can read the full article and view several images on-line here — www.archaeology.org/comanche — so I won’t go in to a lot of detail, but suffice it to say, the article is a ‘must read’ for anyone interested in the history of the Comanche nation. 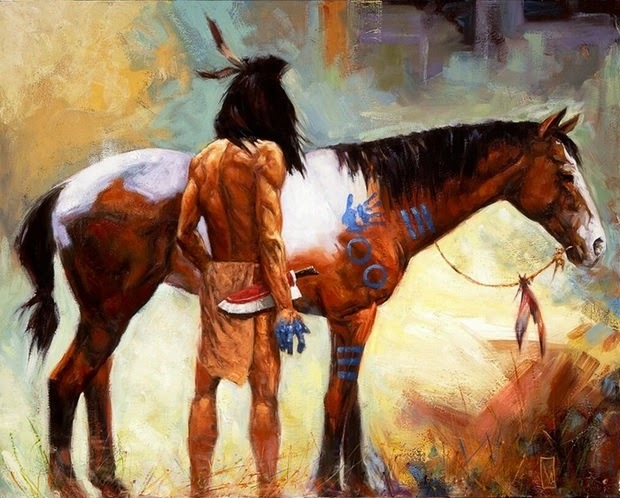 As a brief summary, archaeologists who have been studying a Comanche encampment in New Mexico’s Rio Grande Gorge near Taos, came across “previously unknown panels of rock art”, which are now challenging the “idea that they [Comanche] left no physical traces behind. For me, this is as fascinating as it is exciting. 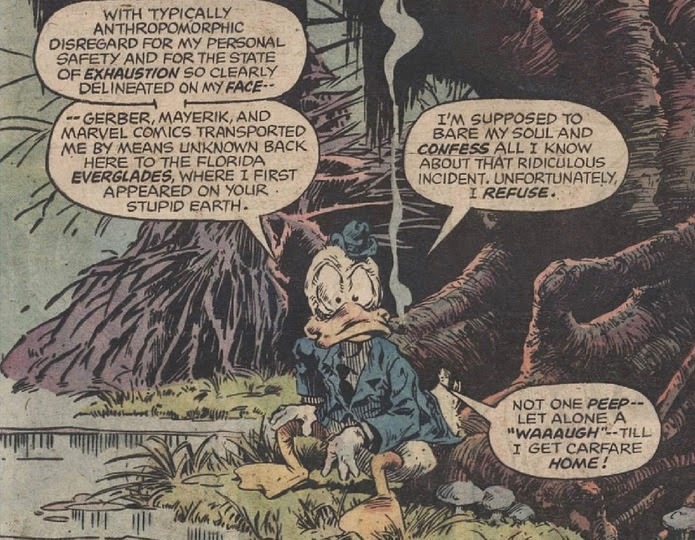 First off, a confession -- which I'm sure you've heard before from me. I'm an Eastern greenhorn, and this month I was stuck for a blog topic. So I opened up Google and typed "western" and voila! What did I see that seemed interesting? Western Union. Yep -- what is it? Oh, sure, it's the telegraph. But beyond that, I didn't know much. The poles were raised before the transcontinental railroad, but when? And what is Morse code all about? So I started digging. First -- the telegraph machine. In 1836, an artist Samuel Morse worked with physicist Joseph Henry along with machinist and inventor Alfred Vail to develop the instrument that used electric current -- whoa! Electric current? Why didn't people use electricity to light their houses and shops back then? Their streets? Guess I forgot that batteries were invented around 1800 -- which built upon good old Ben Franklin's kite experiments, and his coinage of terms like charge, plus and minus, positive and negative, conductor and condenser. But electrical charges go back to ancient Greece, when philosophers noted static electricity but couldn't explain it. Okay, back to the telegraph machine, which sent electric current in pulses -- short and long -- along wires. The receiver has an electromagnet, by the way, but of course cannot transmit language itself. 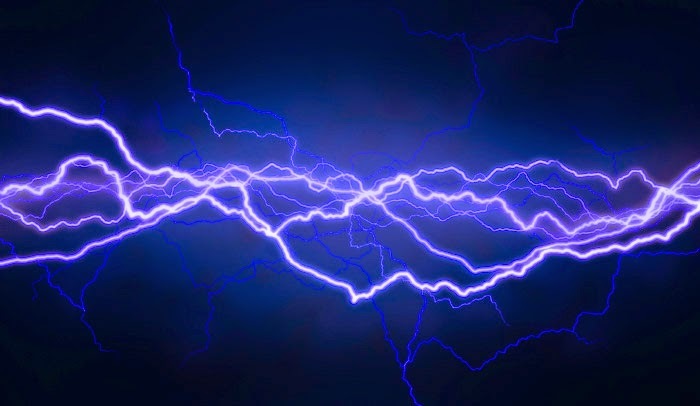 The electromagnet was invented by William Sturgeon in 1825, and that paved the way to the invention of both the first electric motor and the telegraph. Morse and Vail had to invent a code, therefore, that translated letters and symbols plus the silence between them. Morse and Vail first operated the line between Washington, D.C., and Baltimore. Vail improved the sending key, relay magnets and recording registers, while Morse took the credit for the code. But few people have ever heard of Alfred Vail -- and no, he didn't lend his name to Vail, Colorado. Poor Alf. Back to Western Union, which began as the New York and Mississippi Valley Printing Telegraph Company in 1851. How's that for a mouthful? Within four years of operation, the company changed its name to Western Union. Why, you might ask? Consolidation -- the western-most areas of the U.S. telegraph system joined with the original telegraph line under the company. And by 1861, a mere decade later, Western Union had finished building the transcontinental line of wires across America. It could very well have lit a fire under those who wanted a railroad to link up the two coasts. In fact, 1869 brought the first stock ticker -- giving Wall Street a boost -- and two years later, money transfers over the telegraph line boosted business transactions. Wow, that must have helped ratchet the industrial leaps through the rest of the 19th century. Is this a big deal? Consider how communication happened before the telegraph, come on! It's a very big deal. Telegraph means "to write" and "at a distance" (like telephone means to speak at a distance). 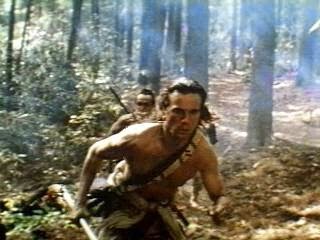 Think of how much easier communicating during the Civil War must have been (although they still used couriers, of course) compared to the War of 1812 -- remember the scene in The Last of the Mohicans, when runners took messages through the Indian-infested woods? Uh huh. Didn't make it, did they? Try a passenger pigeon -- in medieval times, trained hawks could bring them down, cutting messages off in the same fashion. How about smoke signals? Passable, depending on the weather -- try sending a message that way in a thunderstorm. Ha. Flag waving? Same problem. Beacons of fire? Lighthouses used beacons, via whale-oil lanterns at first -- in 1716, a lighthouse in Boston was built, but the British blew it up during the Revolutionary War. (It was rebuilt, however, in 1783.) Sandy Hook Lighthouse -- the oldest working lighthouse in the U.S. -- celebrated its 250th anniversary on June 11th when the beacon was first lit in 1764. And Fresnel lenses improved the beacons, fueled by kerosene, until electricity was introduced in the early 1900s. But this post isn't about lighthouses, or signal flags (also used in maritime history) or beacons of fire lit on the Mountains of Gondor like in The Return of the King to ask for Rohan's help in fighting the hordes of Isengard... oh, all right. Can I help it if I loved Tolkien's Middle Earth saga before I ever saw John Wayne in True Grit? I'll drag myself back to the real world -- and American western history. Remember, even the Pony Express didn't last long. The horses are thankful of that. Trains quickly followed the telegraph wires across America. Here's a 1911 chart of the code Morse invented -- and operators learned to listen and interpret. 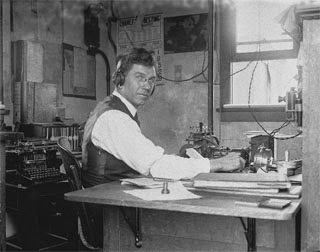 Telegraph operators out west usually did double duty -- to add to their wages, of course, which helped offset the danger of working alone in a station with the danger of Indian raids or plain loneliness. They would work for the railroad and even the Railway Express, and then Western Union. The first singing telegram didn't happen until the 1930s, after Western Union introduced the first customer charge card. Wow, another innovation that spurred on credit cards and fraud craziness of today. Western Union operated throughout the 20th century, however, despite the huge leaps of computers. In fact, the last telegram was sent in January of 2006! I had no idea. But without the telegraph and Western Union, American inventors would never have pushed communication forward to cell phones and modern emails of today -- and "social media" like Twitter, Facebook, even blogs like this one! How cool is that? I know, some of you are probably groaning. Social, ha. Horse patootie. Well, I think it's a good thing. I wouldn't want to climb that huge wood pile and get burned up, trying to light the silly thing, like Pippin. Oh, all right!! Back to Western Union, with thanks to William, Ben, Sam and Alf as well. I wonder what's next after blogging and email? Hmm. Award-winning mystery author Meg Mims lives in Southeastern Michigan with her husband, a 'Make My Day' Malti-poo dog and a sweet Lhasa Apso-mix rescue dog -- the "hero" of her Christmas novella Santa Paws. She loves writing novels, short novellas and short stories, both contemporary and historical. Meg earned a Spur Award and a Laramie Award for her Double series and is also one-half of the D.E. Ireland team writing the Eliza Doolittle & Henry Higgins Mystery series for St. Martin's Minotaur. You can find her on Twitter, Facebook and Pinterest. 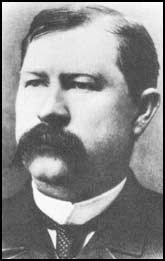 Just after Christmas, Marshal Virgil Earp was gunned down on Fifth Street, between the Oriental Saloon and the Golden Eagle Brewery. Three men blasted at him with shotguns from the cover of the adobe Huachuca Water Company building that was being erected. Virgil was badly wounded in the back and the upper left arm. It was clearly a reprisal shooting for the OK Coral gunfight, that had taken place in October. 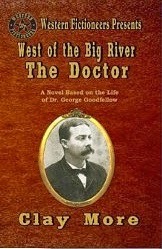 Doctor George Goodfellow was called to attend on him. His immediate assessment was that amputation of the arm would be needed, but Virgil steadfastly refused, saying that he wanted to go to his grave with two arms. And when he saw his wife, he told her not to worry, for he would still have one good arm to hug her with. The following day, Doctor Goodfellow, assisted by Doctor Henry Matthews removed four inches of Virgil's humerus. The arm was saved, yet it was functionally useless ever after. The word amputation comes from the Latin amputare, meaning 'to cut away.' 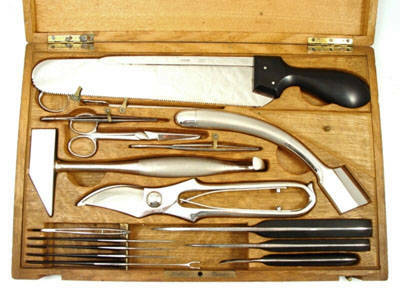 Surgical amputations were performed as far back as the days of Hippocrates, the father of medicine, in the 5th century BC. Amputation of limbs was performed due to battle injury or after severe accidents. In the 16th century the French military surgeon Ambroise Pare introduced the technique of ligation of blood vessels instead of artery with hot irons. This dramatically reduced the torrential loss of blood that was often fatal. Wilhelm Fabry, regarded as the father of German surgery was the first to emphasise the importance of amputating through healthy, rather than diseased tissue. He used cautery and also 'weapon salve'. This involved applying a salve to the weapon that caused the wound, not the weapon itself. It was based on 'sympathetic magic,' the belief that treating the blade that made the wound would cure the wound. Although it seems ridiculous to us, yet he achieved surprisingly good results, or at least results better than those surgeons who applied medication to the wounds after they had operated. The reason of course is that he wasn't putting poisons and further bacteria into the wounds. In 1674 the tourniquet was introduced, which allowed surgeons more time, and gave them the opportunity to work in a relatively bloodless field. This is of inestimable value, since surgeons could identify anatomical structures more accurately. Surgeons were of great value in wars, yet the experience of the British surgeons during the Crimea War (1853-1856) brought up the question of whether it was better to operate or not. That is, whether to adopt a conservative approach, or the dramatic one of surgery. The infection rate was extremely high as was the mortality rate after amputation. The British Surgeon General Guthrie advised against amputation except where the limb had been struck by a cannon ball. Nonetheless, individual surgeons operated and removed limbs when bones had been shattered by the Minie ball, the bullet that was to prove so effective in the Crimea and in the Civil War. During the Civil War Dr D.D. Slade wrote a pamphlet that encouraged the orthodox view that amputation should be done immediately where there was great laceration of skin, or where there was a compound fracture (bone protruding through the skin), with splintering of the bone. The germ theory had not been propounded at that time, so surgeons themselves often introduced infections. Instruments may have been merely wiped or washed, but not adequately sterilised (for there was not thought to be any necessity to do so). Added to this there was the problem of operating on men who may have been weakened by stress, disease or scurvy. The Army position changed several times as the War went on. At the beginning, doctors from all sorts of disciplines were recruited, and only a few had adequate surgical experience. They all had a baptism of fire and those that had little experience soon gained it. Amputations increased. The further the War progressed, the attitude changed again, with many surgeons adopting the conservative approach, to try to save the limb. During the Civil War over seventy per cent of wounds involved the upper or lower limbs. Another debate that ran throughout the War was which type of amputation operation to use. The older method was called the 'circular' operation. This involved using a tourniquet and making a circular incision around the limb, cutting through the skin and the fascia. An assistant then retracted the skin and the surgeon made a further circular cut close the skin incision and went through all of the muscles to the bone. The amputation was then done, involving ligature of vessels, retraction of tissues and sawing through bone. The muscles were then drawn over the end and the skin brought down and strapped with adhesive, rather than sutured. The newer method was the 'flap' operation. This had been developed in the previous century by William Cheselden (1688-1752), an English surgeon. This was favoured by sixty per cent of surgeons. It involved sacrificing more bone, but it gave a better stump, albeit it needed a large wound. Essentially, an oblique incision was made, so that a skin flap could be created in order to give better closure and better stump protection. It was also a faster operation and seemed to produce less post-operative pain. The skin was closed with interrupted sutures about an inch apart. Sometimes wire was used and sometimes silk. There were also single flap and double flap operations. After the War many amputees complained of pain, often excruciating discomfort where their amputated limb should have been. For example, they might have severe pain where they could still feel the foot that was no longer there. The year after the War Dr Silas Mitchell of Philadelphia opened a stump clinic, where he made observations of these symptoms and he wrote a paper in Lippincott's Magazine of Popular Literature and Science, in which he described for the first time phantom limb pain. He speculated that it was the result of injury to the nerves during the operation. He was quite correct, but there was little that could be done. Although we have a better understanding of this phenomenon now and a greater range of therapeutic interventions, yet it is still a significant problem for many amputees. The Tombstone doctor was the right man to have operate on you in the wild days of Tombstone. He became the foremost authority on gunshot wounds and a surgeon who pushed back the frontiers in many areas. He did amputations, reconstructive facial surgery and he was the first surgeon to perform perineal prostatectomy. As I mentioned in my blog last month, his work on the impenetrability of silk to bullets led to the development of bulletproof vests. But he was a scientist and he kept up to date with the developments of surgery, anaesthetics and medicine. He used Lister's aseptic methods and had a carbolic acid spray for use during operation. 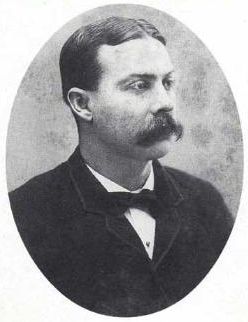 He was absolutely the right surgeon for Virgil Earp. My alter ego Clay More has a couple of recent releases. One of the reasons that I reenact is to gain an understanding in some small way of the hardships the soldiers endured and to try to experience life as they would have lived it, but perhaps the best way to achieve an understanding of the experiences that civil war soldiers lived through is to read some of the first hand accounts that they left behind. Co. Aytch: A Side Show of the Big Show by Sam Watkins has long been heralded as one of the best. Sam Watkins enlisted in the Third Tennessee in 1861 but soon transferred to Company H, "The Maury Greys," of the First Tennessee Infantry. Of the 120 men who enlisted in the company at the start of the War, Sam was one of seven who remained alive when the Army of Tennessee was surrendered to General William Tecumseh Sherman in April of 1865. 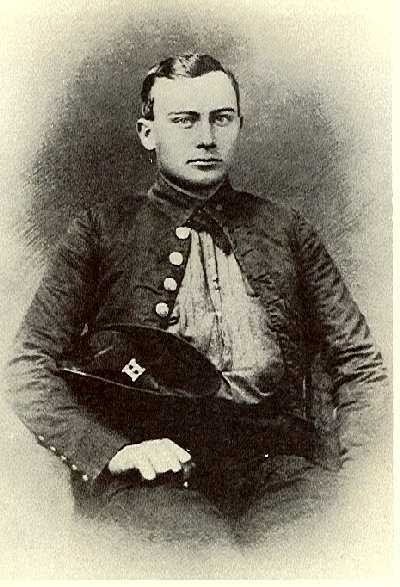 Sam served with distinction throughout the War taking part in several major battles including Shiloh, Corinth, Murfreesboro, Shelbyville, Chattanooga, Chickamauga, Missionary Ridge, The 100 Days Battles, Atlanta, Jonesboro, Franklin, and Nashville. His constant thought throughout the war was to return and marry his sweetheart Jennie, which he did after the War's end and raised a family through the difficulties of Reconstruction. It was not until 1881 that he began writing his memoir at the urging of his family so that his children and grandchildren would know of his experiences. It was originally serialized in the Columbia, Tennessee Herald newspaper and published in book form in 1882. Sam's memoir is regarded as one of the preeminent sources regarding the life of a soldier. There are similarities between his memoir and The Red Badge of Courage by Stephen Crane that suggests Crane may have used Co. Aytch as a source or at least had read it. Sam's writing has been called Twain-like because of his lively and witty style and teachers still use his book as a teaching source. Samuel Rush Watkins passed away on July 20, 1901 at the age of 62 in his home in the Ashwood Community and was buried with full military honors by members of the Leonidas Polk Bivouac, United Confederate Veterans. Co. Aytch: A Side Show of the Big Show is available on Amazon, if'n you're interested. This month I'm shining a spotlight on a project that is not finished yet -the creators have a kickstarter drive for it, which as of this writing is only a few bucks away from meeting its goal. 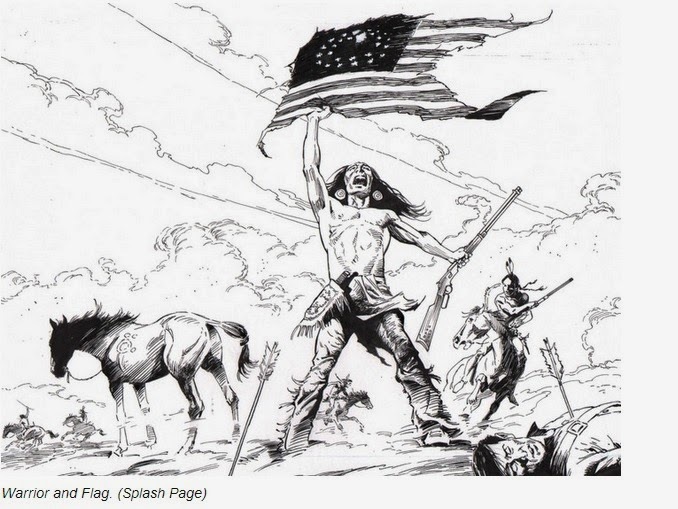 The project: a graphic novel about the Battle of the Little Bighorn, written by Jim Berry and illustrated by comics legend Val Mayerik. Seems as though the book is scheduled to be out next spring (2015)... I, for one, am greatly looking forward to it. Some historical episodes in the Old West read like adventures. Some read like tragedies. Some read like romances. A few real-life characters—like Kitty LeRoy—managed to combine all three. Though no photos of her are known to exist, from all reports LeRoy was a stunning beauty with a sparkling personality that had men—including both notorious outlaws and iconic lawmen—throwing themselves at her feet. She was proficient in the arts of flirtation and seduction, and she didn’t hesitate to employ her feminine wiles to get what she wanted. Often, what she wanted was the pot in a game of chance. One of the most accomplished poker players of her time, LeRoy spent much of her short life in gambling establishments. 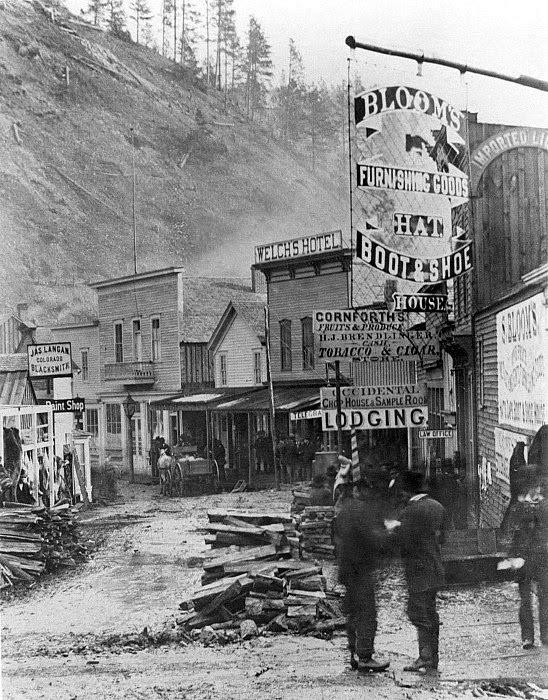 Eventually, she opened her own in one of the most notorious dens of iniquity the West has ever known: Deadwood, South Dakota. With LeRoy and the spectacular diamonds at her ears, neck, wrists, and fingers glittering brightly enough to blind her customers every night, it’s no wonder the Mint Gambling Saloon prospered. And with her reputation as an expert markswoman, there was very little trouble…at least at the tables. LeRoy was born in 1850, although no one is sure where. Some say Texas; others, Michigan. One thing is certain: By the age of ten, she was performing as a dancer on the stage. Working in dancehalls and saloons, she either picked up or augmented an innate ability to manipulate, along with gambling and weaponry skills that would serve her well for most of her life. At fifteen she married her first husband because, according to legend, he was the only man in Bay City, Michigan, who would let her shoot apples off his head while she galloped past on horseback. A long attention span apparently was not among the skills LeRoy cultivated. Shortly after her marriage, she left her husband and infant son behind and headed for Texas. By the age of twenty, she had reached the pinnacle of popularity at Johnny Thompson’s Variety Theatre in Dallas, only to leave entertaining behind, too. Instead, she tried her hand as a faro dealer. Ah, now there was a career that suited. Excitement, money, men…and extravagant costumes. Players never knew what character they would face until she appeared. A man? A sophisticate? A gypsy? Texas soon bored LeRoy, too, but no matter. With a new saloonkeeper husband in tow, she headed for San Francisco—only to discover the streets were not paved with gold, as she had heard. While muddling through that dilemma, she somehow misplaced husband number two, which undoubtedly made it easier for her to engage in the sorts of promiscuous shenanigans for which she rapidly gained a reputation. Although the reputation didn’t hurt her at the gaming tables, it did create a certain amount of unwanted attention. One too-ardent admirer persisted to such an extent that LeRoy challenged him to a duel. The man demurred, reportedly not wishing to take advantage of a woman. Never one to let a little thing like gender stand in her way, LeRoy changed into men’s clothes, returned, and challenged her suitor again. When he refused to draw a second time, she shot him anyway. Then, reportedly overcome with guilt, she called a minister and married husband number three as he was breathing his last. 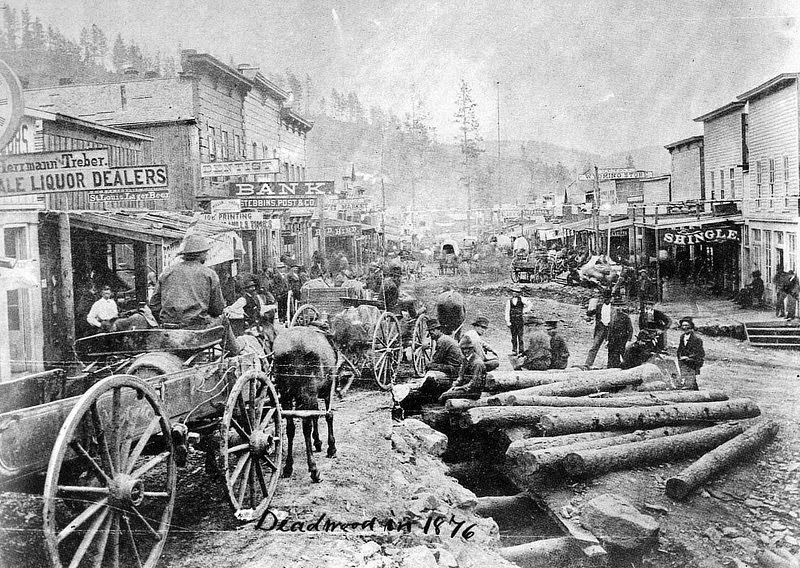 Now a widow, LeRoy hopped a wagon train with Wild Bill Hickock and Calamity Jane and headed for the thriving boomtown of Deadwood. They arrived in July 1876, and LeRoy became an instant success by entertaining adoring prospectors nightly at the notorious Gem Theatre. Within a few months, she had earned enough money to open her own establishment: the Mint. There, she met and married husband number four, a German who had struck it rich in Black Hills gold. When the prospector’s fortune ran dry, so did LeRoy’s interest. She hit him over the head with a bottle and threw him out. Meanwhile, thanks to LeRoy’s mystique—and allegedly, to no little fooling around with the customers—the Mint became a thriving operation. LeRoy reportedly “entertained” legendary characters as diverse as Hickock and Sam Bass. But it was 35-year-old card shark Samuel R. Curley who finally claimed her heart. Curley, besotted himself, became husband number five on June 11, 1877. Shortly thereafter, Curley learned LeRoy hadn’t divorced her first husband. The bigamy realization, combined with rumors about LeRoy’s continued promiscuity, proved too much for the usually peaceful gambler. He stormed out of the Mint and didn’t stop until he reached Denver, Colorado. Folks who knew LeRoy said she changed after Curley’s departure. Despite nights during which she raked in as much as $8,000 on a single turn of the cards, she grew cold and suspicious. Her grief seemed to dissipate a bit when an old lover showed up in Deadwood. 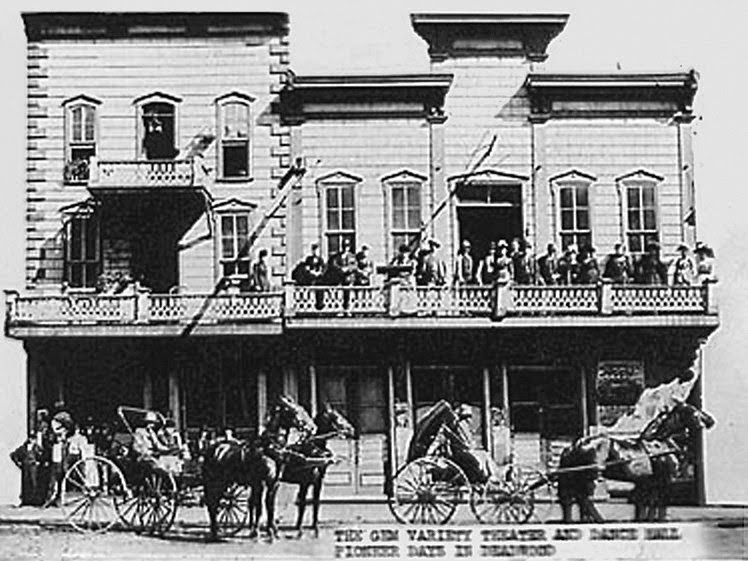 LeRoy rented rooms above the Lone Star Saloon, and the two moved in together. By then, Curley was dealing faro in a posh Cheyenne, Wyoming, saloon. Acquaintances called him miserable. When word of LeRoy’s new relationship reached him, he flew into a jealous rage. 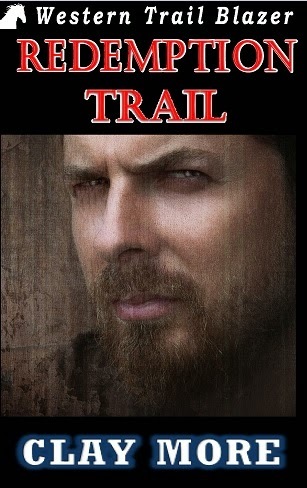 Determined to confront his wife and her lover, he returned to Deadwood December 6, 1877. When the lover refused to see him, Curley told a Lone Star employee he’d kill them both. LeRoy, reportedly still pining for her husband despite her new affair, agreed to meet Curley in her rooms at the Lone Star. Not long after she ascended the stairs, patrons below reported hearing a scream and two gunshots. The following day, the Black Hills Daily Times reported the gruesome scene: LeRoy lay on her back, eyes closed. Except for the bullet hole in her chest, the 27-year-old looked as though she were asleep. Curley lay face down, his skull destroyed by a bullet from the Smith & Wesson still gripped in his right hand. An understated funeral took place in the room where Curley killed his wife and then took his own life. Their caskets were buried in the same grave in the city’s Ingleside Cemetery and later moved to an unmarked plot in the more famous Mount Moriah. …[W]e simply give the following, as it appeared to us, and leave the reader to draw their own conclusions as to the phenomena witnessed by ourselves and many others. It is an oft repeated tale, but one which in this case is lent more than ordinary interest by the tragic events surrounding the actors. To tell our tale briefly and simply, is to repeat a story old and well known—the reappearance, in spirit form, of departed humanity. In this case it is the shadow of a woman, comely, if not beautiful, and always following her footsteps, the tread and form of the man who was the cause of their double death. In the still watches of the night, the double phantoms are seen to tread the stairs where once they reclined in the flesh and linger o’er places where once they reclined in loving embrace, and finally to melt away in the shadows of the night as peacefully as their bodies’ souls seem to have done when the fatal bullets brought death and the grave to each. Whatever may have been the vices and virtues of the ill-starred and ill-mated couple, we trust their spirits may find a happier camping ground than the hills and gulches of the Black Hills, and that tho’ infelicity reigned with them here, happiness may blossom in a fairer climate. I’ve established in previous essays that early days in the lawman profession can be pretty lean, often requiring another job on the side. For a time, my wife and I managed a ranch in exchange for rent. Always rushed for time, I’d get home from my deputy marshal work and shuck my coat, tie and pistol like Clark Kent running for a phone booth so I could change into a pair of jeans, chaps and a brush-popper shirt. I kept a pair of boots beside the door. They were tall things, Tony Lama buckaroos with spurs I left on the heel shelf and plenty of caked manure on the sole. The light was always fading by the time I saddled my horse and rode out to check the cow-calf pairs in the back pasture. One cold and windy Halloween, I heard a knock at the front door about the time I tied on my wild rag scarf—no bandana for me, no sir—and snugged down the stampede string on my silver belly Resistol. I pulled open the door to find a lady from church who was dropping by to pick up my wife and kids for a carnival. My wife just chuckled that her friend thought I was wearing a costume as she herded our pirate, princess, and Lion King out the door. If memory serves, my bride was a gypsy, or maybe a belly dancer. It was pretty much the same costume but I was partial to the version with more bangles and less silk. I’ve never really been much on Halloween—except for the that belly dancer costume. I once thought I’d like to try my hand at writing a screenplay—but then I found out how sparse that sort of writing was. I prefer the novel, where I can be director, cinematographer, set designer and costumer. What a character wears goes a long way toward defining him or her. Think Clint Eastwood’s serape, James Bond’s iconic tuxedo, Indiana Jones’s battered fedora or the unblocked crown of Captain Woodrow Call’s hat. Ann Bancroft’s leopard-skin coat and undies in The Graduate sure say something about Mrs. Robinson’s character. The character of Sandy in GREASE goes from virginal poodle skirts to skintight black leather by the end of the play/movie. When we see a certain style of clothing, we expect a personality to go along with it. I have a good friend who worked as an undercover drug agent in Texas nearly three decades ago. As part of his persona he shaved his head and had a makeup artist give him full-sleeve tattoos as well as a couple on his neck and face. This was before body art had inched a little more main stream. It so happened that he was buying a house in the small town where we’d grown up. From his internal point of view, he was the same sweet-hearted copper with a wife and two little girls who liked soccer and good barbecue. 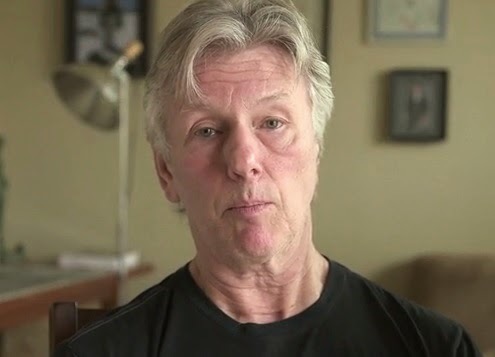 He was talking to the realtor in front of his new home when an elderly neighbor walked up and threatened to burn the house to the ground before he watched outlaw bikers to move next door. I noticed early in my law enforcement career that the public reacted pretty consistently to the way responding officers were dressed—particularly our hats. As a patrol officer I was issued a round uniform hat like the ones Reed and Malloy wore in Adam 12. We hated those hats. When I went into mounted patrol my uniform was the same grey shirt but added starched black Wranglers and highly polished boots with chrome spurs. We wore a black felt Resistol hat in the winter and a white straw in the summer. On our horses we felt ten feet tall and bullet proof. When the weather was too bad to ride we wore the same uniform, responding in our patrol truck instead of on horseback. No matter how many responding officers outranked us at any call, citizens always turned to us as soon as we arrived. The guys in the big hats had to be the ones in charge—even absent our mounts. If I’ve done things right in my books, readers would recognize Jericho Quinn by his armored black motorcycle jacket—and in TIME OF ATTACK, Ayako Shimizu’s outfits directly illustrate her character. Here are two short descriptions— one shortly after Quinn first meets her and another, later after she has developed feelings for Quinn. “Sounds delicious.” Quinn couldn’t help but smile as he watched Ayako putter around the simple wooden counter that served as a kitchen in the small cottage. Her hair still hung in damp locks from her shopping trip in the morning rain. She’d slipped off her wet sweat pants and jacket to reveal a pink Hello Kitty t-shirt and loose violet gym shorts that matched the slippers she’d brought in the duffle from her apartment. The softness of the colors reminded Quinn of an Easter egg. He wondered if she realized that though she worked each day to make herself alluring with costumes and makeup, it was now, fresh from the rain and dressed in plain t-shirt and shorts that her natural beauty shown through. Marc Cameron is a retired Chief Deputy US Marshal and 29-year law enforcement veteran. His short stories have appeared in BOYS’ LIFE Magazine and the Saturday Evening Post. 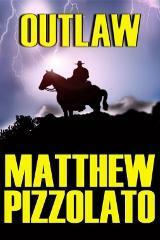 He's published ten novels, six of them Westerns. TIME OF ATTACK, fourth in his USA Today Bestselling Jericho Quinn Thriller series, is the newest release from Kensington February of 2014.